One city management official talks about his more than 18 years spent ridding the streets of hawkers. Shanghai at 8 a.m. is the city at its busiest. The hawkers push and shove their carts, desperately searching for empty spaces to set up base. They are preparing for the onslaught of morning pedestrians who will soon be hungering for a warm soybean milk and scallion pancake fix on their way to work. I am the person the peddlers fear most. I am the head of the North Xinjing Neighborhood Committee in Shanghai. My team and I are city management officials, also known as chengguan officials in Chinese. Our job is to make sure that urban policies are enforced. Most of what we do involves clearing the city streets of peddlers. 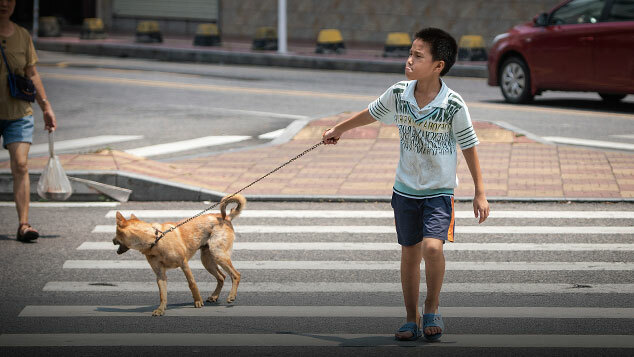 In the 1990s, when China began streamlining many of its inefficient state-owned industries, tens of millions of workers suddenly found themselves out on the street, including myself. Like many others, my wife and I found ourselves in a money crisis. At the time, my daughter was still very young and my parents relied on us to look after them, which meant we were in a lot of trouble without a steady income. At the end of 1997, in an effort to boost employment rates, the government launched a program aimed at re-employing middle-aged workers who had lost their state jobs. After signing up, I was asked to come sit a round of exams in public administration with 100 other candidates in what is now the Shanghai University of Medicine and Health Sciences. They told us that we were applying to be chengguan officials, but since the position was still relatively unheard of, none of us knew what the function of the job would be. When we were scheduled to take the second round of tests — in administrative and behavioral skills — there were many who thought the job would be a road-sweeping gig, and didn’t even bother turning up. Twenty-three of us passed the exam, but one unexpectedly dropped out during his medical examination, so in the end 22 were nominated to become city management officials. February 1998 saw my first day on the job. My monthly salary was 1,400 yuan (back then about $170), which was slightly higher than the city average at the time, and included social insurance and a housing allowance. I was assigned to the supervision team in the Huayang Road Neighborhood Committee, where 12 of us set up a new taskforce. Half of our team were veterans while the other half were newly recruited staff like me. I was full of energy my first week. It was freezing when we hit the streets at 6 a.m., before the sun was even up, but I never felt exhausted. The roads were already full of people selling breakfast, hawking all manners of different wares, and shoving their carts all over the road. The street was a whirlwind of confusion and an ever-growing ocean of litter threatened to overwhelm us and wash everything away. But as days turned into weeks, I came to be gripped by frustration. The hawkers detested and verbally abused us. This irritated me. We were just trying to uphold the law, but we encountered hatred every which way we turned. At my previous job in the state-owned enterprise, the attitude toward work was extremely relaxed. Days were spent smoking, drinking tea, and reading the papers. This was no longer the case. 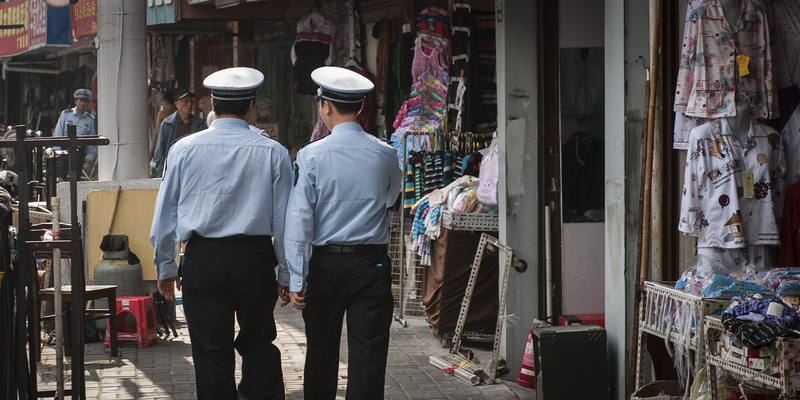 As a chengguan official, I worked tirelessly to enforce the law and manage explosive situations. The peddlers we were dealing with were impoverished, and by directing them to move their carts we were effectively stealing their livelihood. I sympathized and felt sorry for them, but I knew in my heart that the laws were in place for a reason. I had to be scrupulous in my work and carry out my duties to the best of my ability. In 2004, because of my excellent service, I was transferred from Huayang to North Xinjing, and promoted to head of the Xinjing unit. 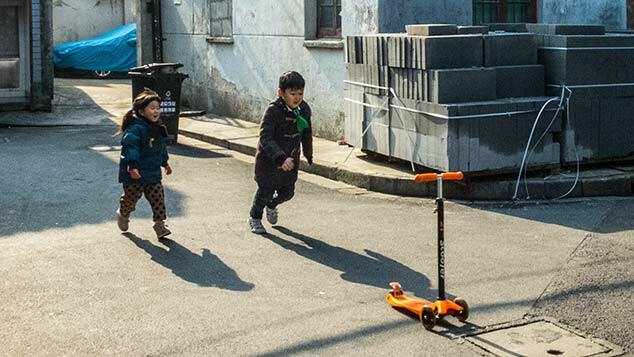 At that time, the area was among the poorest in Shanghai. The streets were chaotic — hawkers were everywhere and our unit had the most imposing clean up in the entire city. 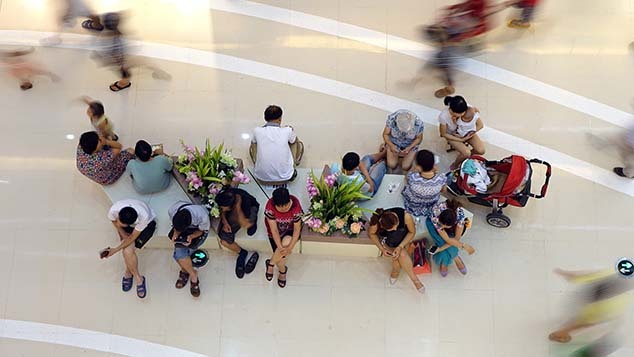 There were at least 2,000 stalls in North Xinjing alone: over 100 on Pingtang Road, over 200 at the Sanheyi Market, not to mention the 700 illegally selling out of residential complexes over on Beizhai Road. The sellers were almost exclusively from outside of Shanghai, unregistered, and led difficult lives. Most got by with little education, had few skills, and were advanced in years. Progress was slow, but we took it one day at a time. And eventually the fruits of our labors became apparent. In 2010, things really sped up with the coming of the Shanghai World Expo, when funds were poured into cleaning up the city. Somehow we managed the impossible task of clearing the streets around North Xinjing. In 2013, new regulations restructured the city management structure and our team was fortified with a new batch of recruits. Since then, things have been a cakewalk. Being sworn at, having your clothes torn, being threatened — for chengguan officials, it’s all part of the job. Some of my colleagues have even been jumped by displaced peddlers on their way home from work . But every morning I will still put on my uniform, pack my legal documentation, and hit the streets — at least until my retirement next year.